Using a flat bladed plastic trim tool, release the retainers securing the center molding?€‰(1) to the instrument panel assembly. Using a flat bladed plastic trim tool, disengage the retainers securing the center upper trim molding?€‰(1) to the instrument panel assembly. 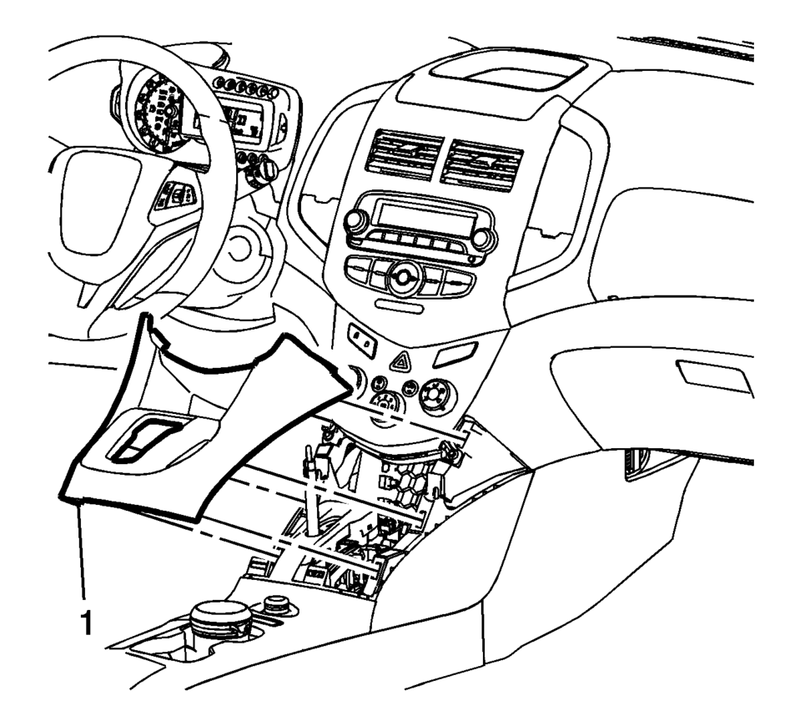 Steps 4 to 7 are for vehicles equipped with Automatic Transmission only. Move the shifter from ?€?Park?€? to the ?€?Neutral?€? position. Using a flat bladed plastic trim tool, release the retainers securing the console cover?€‰(1) to the console assembly. 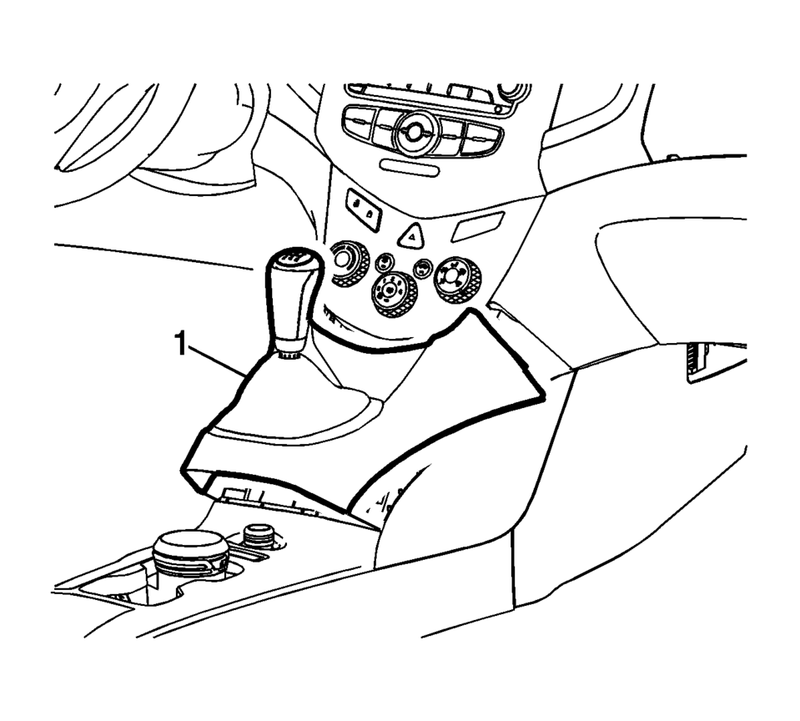 Steps 8 to 11 are for vehicles equipped with Manual Transmission only. 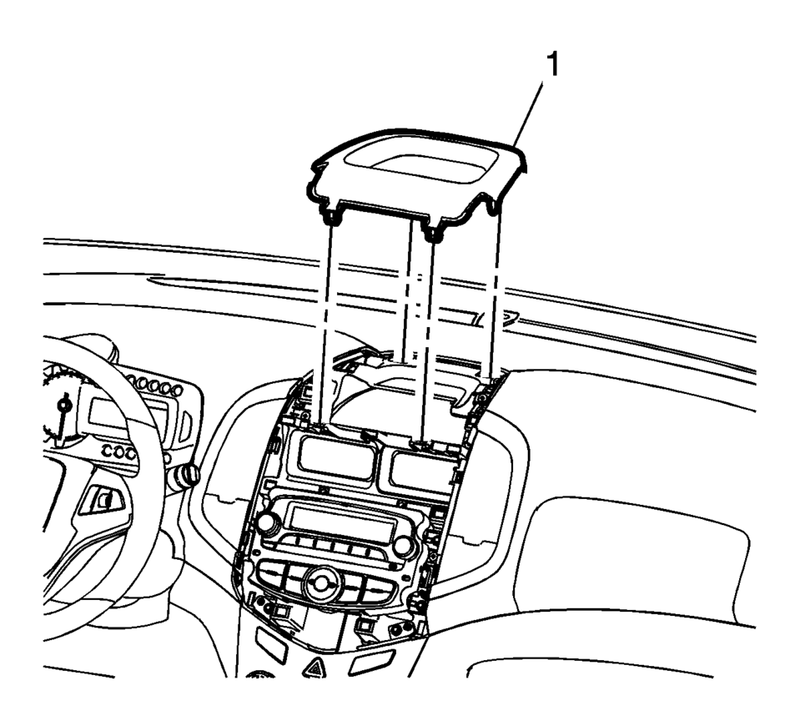 Feed the transmission control lever boot assembly through the opening in the console cover assembly?€‰(1). Remove the heater and air conditioning control retainers?€‰(1). Disconnect the electrical connectors from the switches. Disconnect the heater and air conditioning temperature control cable. Disconnect the mode control cable. Disconnect the connectors of HVAC control ?€“ J1 (Blower), J2 (Main) and J3 (HVAC Module). Remove the heater and air conditioning control from the HVAC bezel?€‰(2) by removing the four screws. Remove the electrical switches from the HVAC bezel. Install the heater and air conditioning control to the supplied HVAC bezel?€‰(2) by installing the four screws. Tighten the four screws to 5.5 Nm (49?€‰lb?€‰in). Install the removed electrical switches to the supplied HVAC bezel. Connect the connectors of HVAC control ?€“ J1 (Blower), J2 (Main) and J3 (HVAC Module). Connect the mode control cable. Connect the heater and air conditioning temperature control cable. Connect the electrical switch connectors. Install the HVAC control assembly with bezel?€‰(2) to the instrument panel and secure with the retainers?€‰(1). 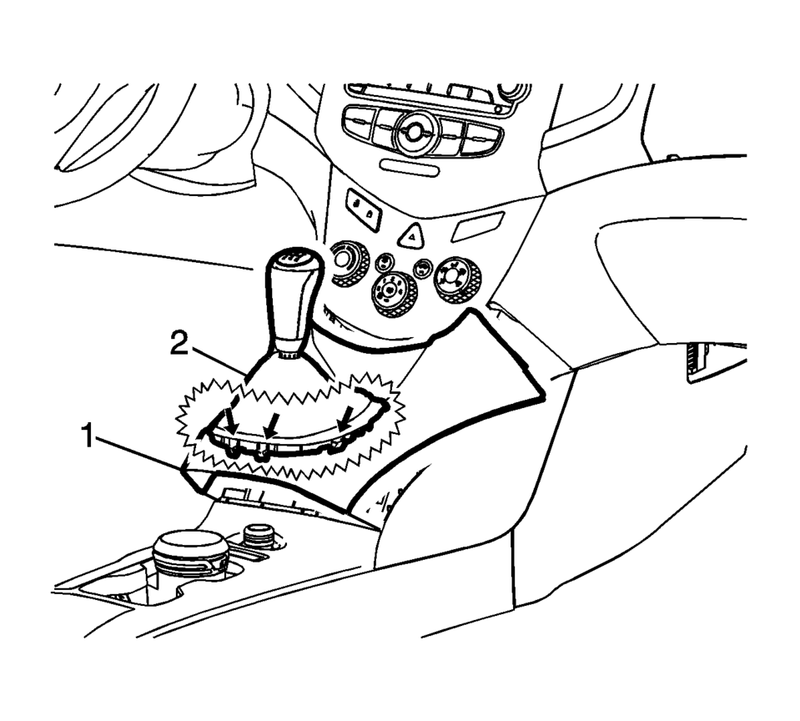 Steps 7 to 10 are for vehicles equipped with Manual Transmission only. 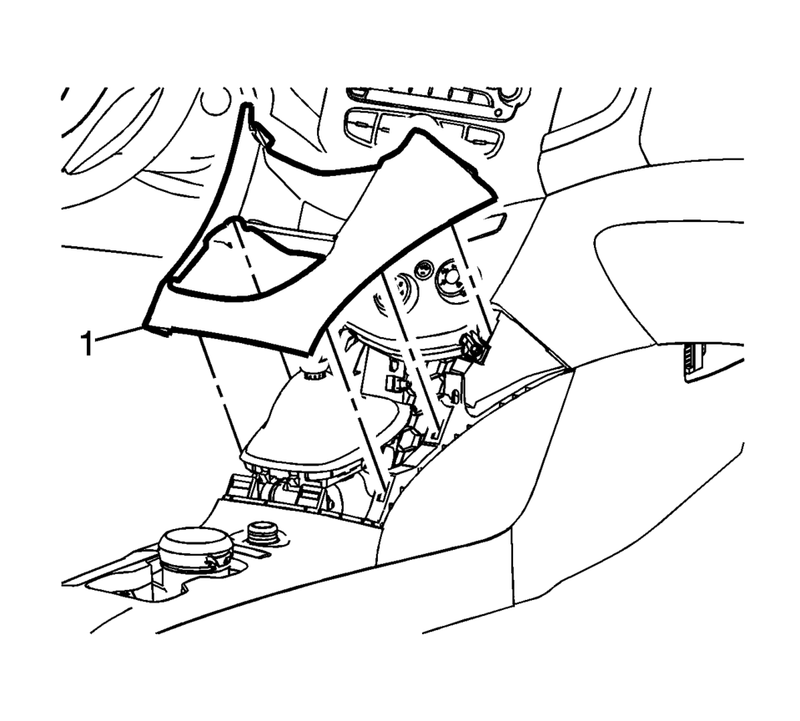 Install the cover assembly to the vehicle. Steps 11 and 12 are for vehicles equipped with Automatic Transmission only. Install the front floor console cover. Connect the electrical connections to the supplied center upper trim molding?€‰(1). 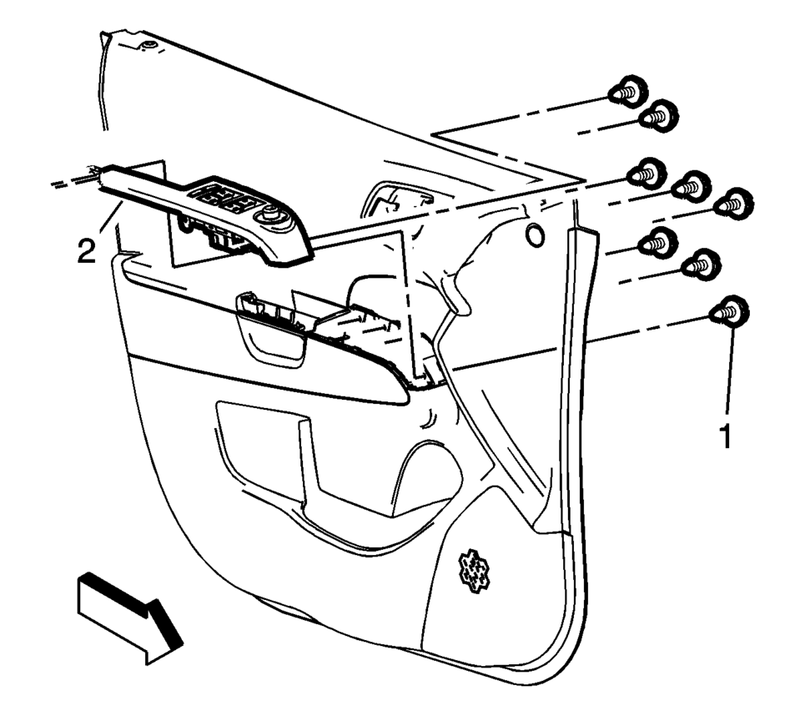 Install the center upper trim molding to the instrument panel ensuring that the retainers are fully engaged. 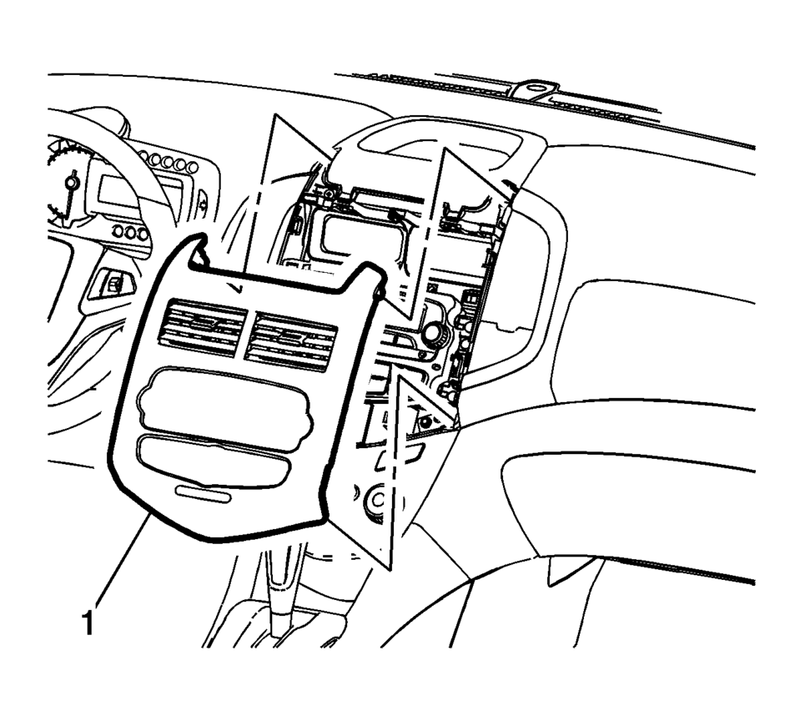 Install the supplied center molding?€‰(1) to the instrument panel ensuring that the retainers are fully engaged. Using an appropriate plastic trim tool, remove the front side door upper front trim panel?€‰(1). Remove the front side door inside handle bolt finish cap?€‰(1). Remove the front side door inside handle fastener?€‰(2). Remove the front side door trim fastener?€‰(3). Use the appropriate plastic trim tool to aid in the removal of the front door trim?€‰(4). Pull upwards on the door lock retainer cable to disengage. Remove the front side door window switch bezel screw?€‰(1) (Qty:8). Remove the front side door window switch bezel assembly?€‰(2). 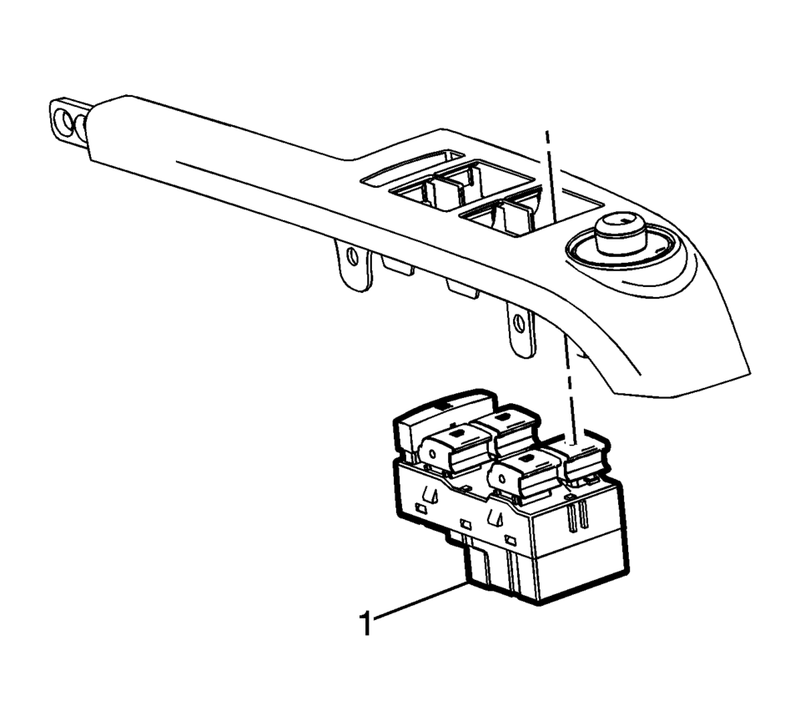 Disconnect the retainers and remove the front side door window switch assembly?€‰(1). Remove the front side door window switch bezel bracket screws?€‰(1). 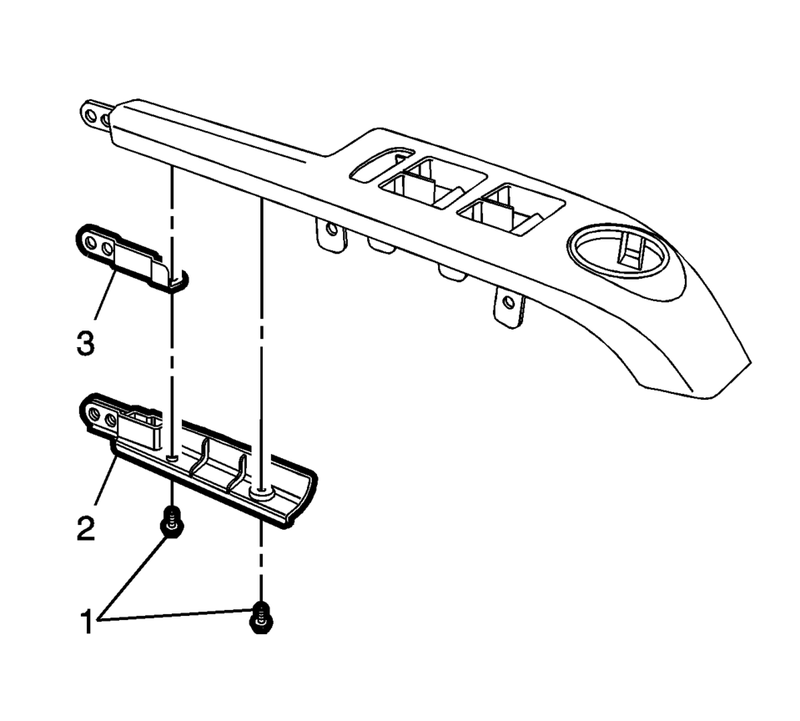 Remove the front side door window switch bezel brackets?€‰(2), (3). Bezel brackets and screws are to be reused. Install the front side door window switch bezel brackets?€‰(2), (3) to the supplied front side door window switch bezel and secure with the screws?€‰(1). Install the front side front door window switch assembly?€‰(1) to the supplied front side door window switch bezel. Install the front side door window switch bezel assembly?€‰(2) to the front door trim panel. Secure the front door window switch bezel assembly with the screws?€‰(1) (Qty:8). Install the front door trim panel?€‰(4) to the front door. Install the front side door trim fastener?€‰(3). Install the front side door inside handle fastener?€‰(2). Install the front side door inside handle bolt finish cap?€‰(1). Install the front side door upper front trim panel?€‰(1).